Imagine a system that not only improves profits but reduces overheads at the same time. It sounds like a dream system, doesn’t it? Not anymore, because Phantom telephone system does exactly that. It is quite simply the most advanced and profitable system on the market. It comprises of fully integrated IVR (Interactive Voice Response), call recording and a dual-server which provides an auto back-up facility so the system will not go down. Phantom has been taking the taxi industry by storm. Although it has only just been released this month there are a number of firms who have been trialling the system with great effect. One firm in particular who has experienced exceptional success with it is none other than Mainline PH from Salford in Greater Manchester. Phantom has had almost an immediate impact on their business bringing a range of improvements that have not only increased profits but reduced overheads at the same time. The most notable being an increase in Mainline PH increase bookings by 7000 per week with Phantom IVR users which now stands at 36.2%. This has had the welcome knock-on effect of increasing bookings by around 25% (which now average at 35,000 per week) a massive increase of an around 7,000 bookings per week. This increase is largely due to IVR freeing up the phone lines so more callers can get through – especially useful during peak periods. By catching calls that would normally be missed they are taking more bookings. Not only that but, as customers receive such a good service from the advanced IVR, repeat bookings have also increased. The intelligent IVR system is selfpopulating, automatically adding users to the system by offering them their top three most regular jobs which the caller can select by simply pressing 1, 2, or 3. Should the user start using another job more regularly then Phantom intelligently moves this up their list and will offer it in the top three list. If that wasn’t enough, the customer can also get an update on the status of their taxi without speaking to the operator (of course they always have the option to speak to the operator at any time). Never before have customers received this level of service from an IVR system…. Welcome to the future! 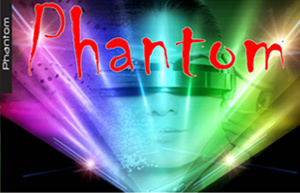 As with Ghost (booking and dispatch software) Phantom has a high resiliency (back-up) in the form of a dual server which will take over automatically in the event of any failure to the main server, however unlikely that may be. This ensures that the phone system will never go down and provides peace of mind for operators and managers alike, in particular Anthony, Mainline PH Salford, who couldn’t hide his delight at the spectacular impact Phantom has had on the business; more than a little keen to offer his positive feedback.